When was the last time you took a microvacation? It’s tempting to get stuck in the comings-and-goings of daily routine, but even in such a beautiful locale as Mount Pleasant, a little fresh scenery can do wonders for your brain and soul. 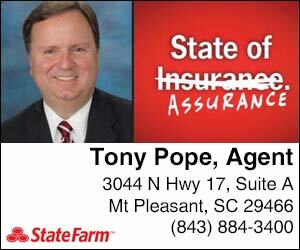 In this spirit, we decided to take a little journey up Highway 17, north of Mount Pleasant and past Bulls Bay, to explore the towns that dot the coast between here and Myrtle Beach. 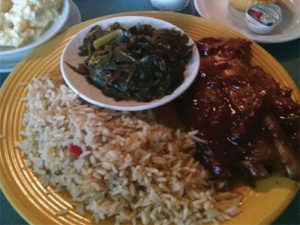 There you’ll find a retro Southern diner with grits handmade by a lady known affectionately as Aunny, a photographer with a photojournalism degree from Kent State capturing beachy sunsets, a tiny wood-shingle chapel and so much more. T. W. Graham & Co. – This old-fashioned seafood spot had its 15 minutes of fame on TV’s “Bizarre Foods” show. Behind the rickety, corrugated tin facade, this casual spot has fresh fish and a spicy Jamaican mayonnaise that’s hard to forget. 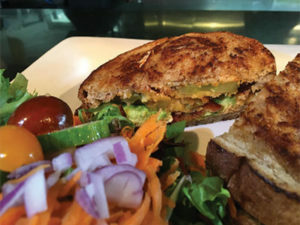 The Bent Rod – Directly off Highway 17, The Bent Rod is perfectly rustic for a wholesome family meal, with everything from bourbon butter shrimp and crispy toast to egg-topped burgers and an expansive patio. McClellanville Land & Sea Market – Opened last summer, McClellanville’s market has made locals very proud. 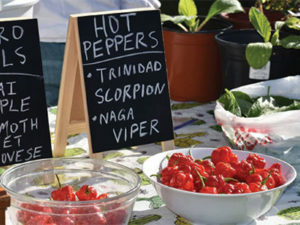 Its mission is to be an open space “for vendors to connect with their community; for persons of the area to support their local environment and economy.” Kids enjoy local honey while locals and tourists shop fresh seafood, produce and local, sustainable meats. 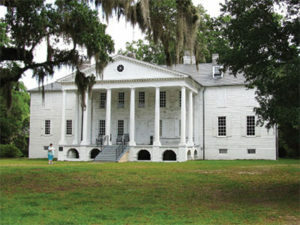 Hampton Plantation – Just north of McClellanville, the plantation is a gorgeous, green space to stretch your legs and explore the Georgian-style mansion grounds, remnants of a Colonial rice plantation. 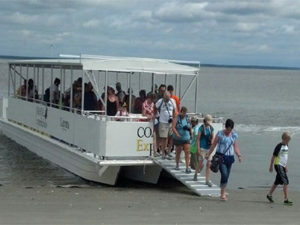 Bulls Island Ferry – For a family adventure, you can launch from McClellanville and float along a nature tour where kids and grownups will both learn from firsthand interactions with the coastal environment. The Little Church – In the center of “downtown” you’ll find a small, wood-shingle chapel. It’s worth a stop for photos beneath the porch trellis and decorative windows. 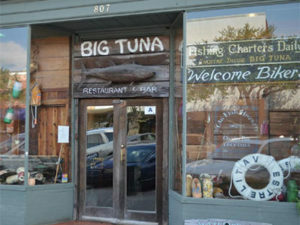 Big Tuna Restaurant & Raw Bar – Charleston might be full of restaurants and coastal views, but, just over an hour north, this sweet spot will make you appreciate coastal dining in a new way. Enjoy a cup of the sherry-infused she crab soup and a cold beer; the serene, quaint surroundings somehow heighten the senses and make everything taste that much more coastal. Aunny’s – Aunny herself is a Georgetown institution. From the kitchen of her Front Street diner, an intimate room with a brick wall and bright blue chairs, Aunny crafts dishes like pig’s foot pilaf and coconut cream pie. 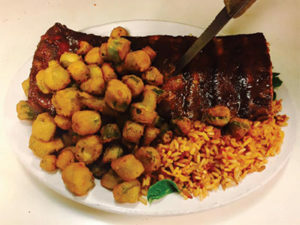 Ball & Que – The Georgetown equivalent of Charleston’s Early Bird Diner, owner Joann Pope’s street-side diner is heavy on the Oreo puddings and fried chicken, made daily by chef Helen King. 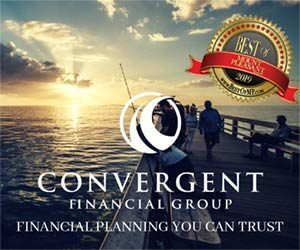 River Room – Since 1984, this nauticalthemed restaurant has been serving dishes like shrimp and grits and grouper in a space decorated with oars and a carved pirate captain. “It was so worth the drive,” said out-of-towner Catherine Baity. Doodlebugs – Treat the kids after the car ride. 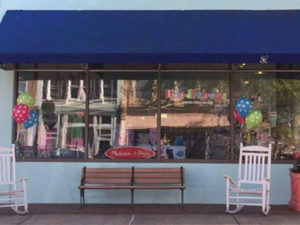 Ginger McLaughlin’s adorable children’s store stocks clothing and gifts from raincoats to christening gowns. Prince George Framing – Far more than a frame shop, Prince George doubles as an art gallery and sells prints that make memorable souvenirs. 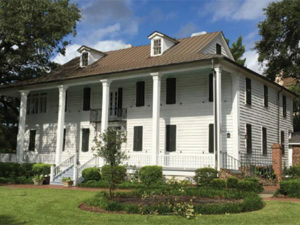 Kaminski House Museum – Glimpse beautifully-preserved history inside this events site and museum, a favorite spot for scenic photos and weddings. Admission inside only comes with tours, so plan accordingly. 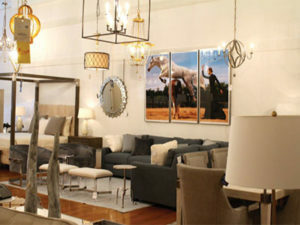 Augustus & Carolina – This upscale antiques and home decor shop delivers all the glamour of Charleston’s design stores. Even if you’re not in the market for a new armchair, it’s worth browsing. 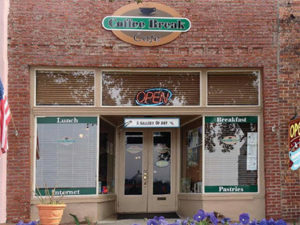 Coffee Break Café – Owned by a local husband-and-wife team, this coffee shop is also a de facto art gallery. Paintings on the wall will draw you in, and Meghan Raner’s famous “Yankee Grits” will make you stay. 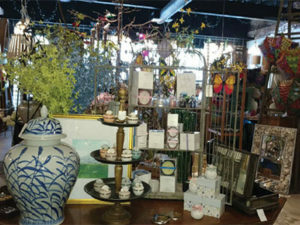 Bienvenue Home – This gift and home decor shop is stocked with artisan gifts like candles, garden décor and decorative pillows. Owner Geraldine Jayroe also owns the local Swamp Fox Tours, so it’s worth asking for tourist tips while you’re in. 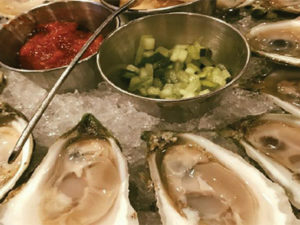 Bistro 217 – This Bistro is on the top of nearly every local’s list. Owner Anne Hardee, a Pawleys resident since 1988, also owns The Rustic Table, where award-winning chef Adam Kirby awes diners. “More and more of my customers are charmed by this area, return often or, better yet, relocate here,” said Hardee of her beloved hometown. Chive Blossom – Enjoy a sweet garden party shaded by live oaks on Chive Blossom’s patio, or take a break inside with owner and chef Trina Kelly’s dishes of Mediterranean, French and Asian influences. 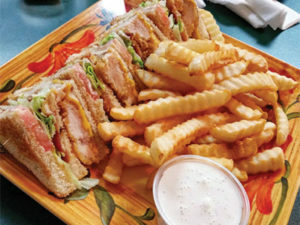 Frank’s and Frank’s Outback & Bar – It’s a “staple for Pawleys,” said longtime resident Morgan Crawley. 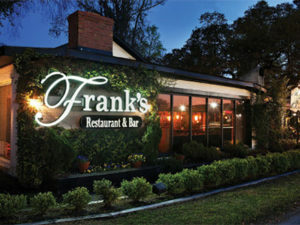 It’s true – Frank’s mix of upscale farmhouse style and elevated outback cuisine make it ideal for a nice evening meal. 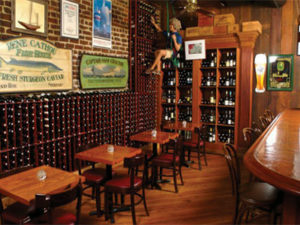 Perrone’s – Litchfield’s craft cocktail and tapas bar delivers Mediterranean cuisine and strong drinks below a colorful, jazz-inspired mural at the bar. 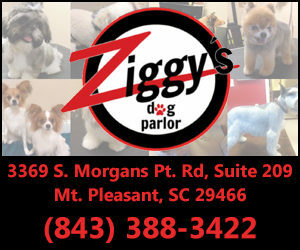 It’s the best nighttime spot on your way to or from Myrtle Beach. 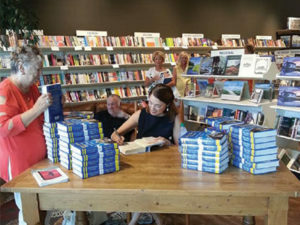 Litchfield Books – Pawleys’ independent bookstore offers regular readings and guest speakers for serious readers and gifts and stationary for casual shoppers. Chasing the Light Photography – Photographer Tanya Ackerman, who received her photojournalism degree from Kent State, captures the coastal light in colorful, crisp shots. You can bring that light home thanks to her calendars and books for sale. Drive just an hour north of Mount Pleasant proper and you’ll find yourself transported to a quieter, less-trafficked version of the coast – with just as much flavor. Worn brick storefronts line little main streets. Waterfront docks serve as local watering holes. Live oaks have plenty of space to breathe in the green parks. And there’s always a skillet sizzling just steps away from Highway 17. These are just a few of our favorite destinations up 17. But as Le Guin said, it’s not so much about the end as the exploration along the way.